The map sketch is based on the map "Mount Everest" 1:50000, © 1991 Swiss Foundation for Alpine Research/Boston Museum of Science. 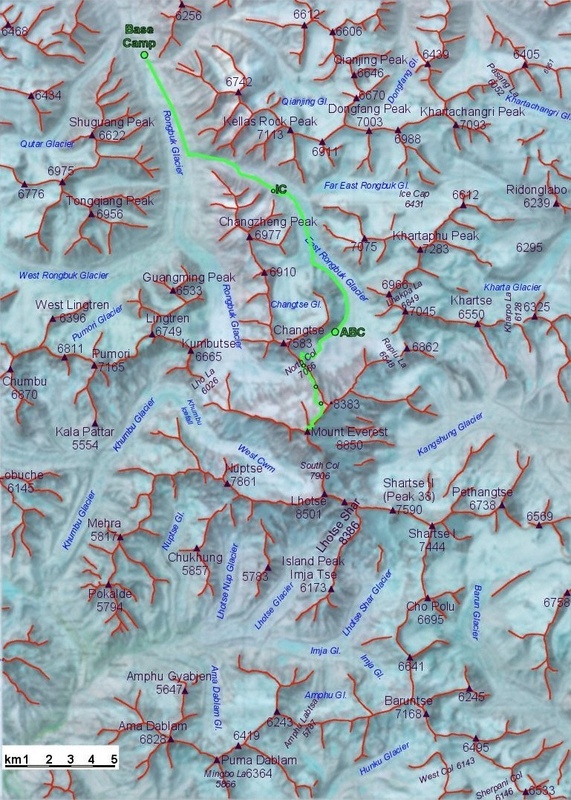 I have redrawn the ridges, summits, and heights, marked the route and kept the colors of the original map in the background in order to indicate the terrain. Who is interested in the detailed map can get it with ISBN 3-85515-105-9 in all reasonable bookshops. I have in no way any profit from the sales of the map - for copyright reasons I can not show an original scan of the map here.